Today RIM released a business update in the form of a press release. CEO Thorsten Heins does a nice job of providing the straight-up goods without a lot of filler. There were a few bullet points about how successful BlackBerry World was, and some positives on developer engagement. That's the sugar coating. The rest of the news just shows us how tough business is on RIM. 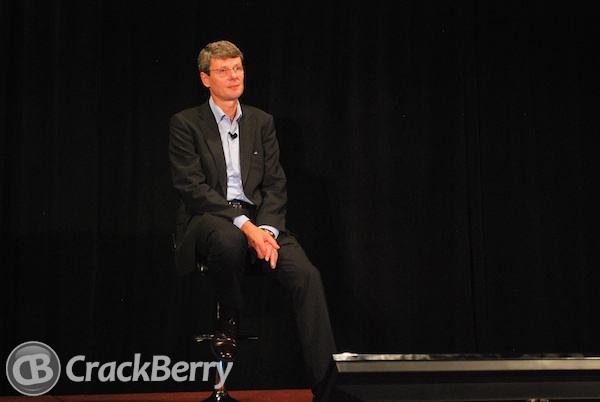 First, and most important, RIM says it probably lost money in Q1. I wrote about this risk plenty, as did others. If RIM lost money in Q1 then things only get worse before they get better. RIM did say it generated cash in the quarter though, which reflects the fact that there are a lot of non-cash expenses on the income statement. Still, RIM will be darn close to burning cash if they don't go cash flow negative before the launch of BB10. They need to move their butts FAST here. They said they now have 78 million subscribers. That's up about one million over last quarter. Up is good, but its proof that the USA is a bloodbath for RIM. Nearly all of their global gains are being reversed over here in North America. Also with respect to cash, they reminded everyone that their "CORE" restructuring program should save them a billion dollars in expenses by year end Fiscal 2013. This is how RIM will try to counter their disappearing profits. RIM said they hired a couple of banks to act as strategic advisors also. This was something that had been widely leaked already, but its nice for Thorsten to feel comfortable disclosing this to investors. I take it to mean RIM is very serious about exploring any and all possible business strategies, not settling for a pure status quo scenario, waiting for BB10 to save RIM all alone. I'll be really interested to see how the market responds to this tomorrow. If the stock stays somewhat flat I'll take it as a good sign of a bottom. But remember what I wrote recently about owning the stock. It ain't for the faint of heart.